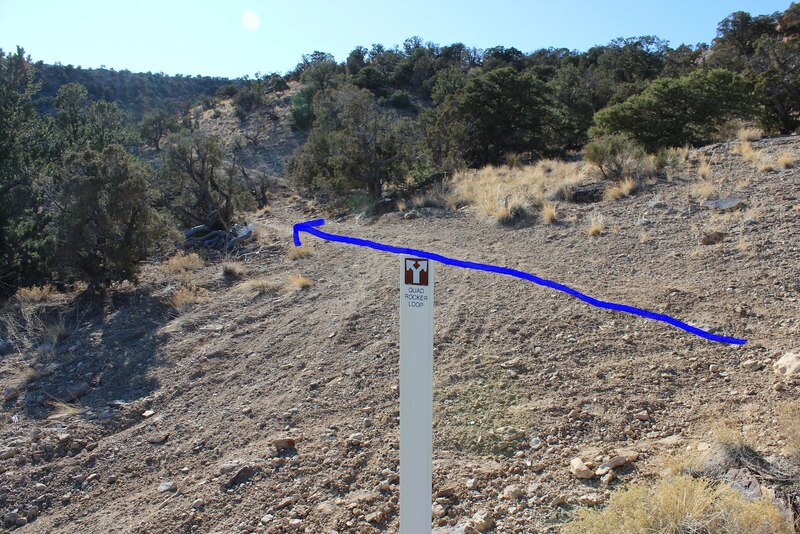 The Quad Rocker trail is located in the Third Flats section of the BLM Bangs Canyon Management Area. The Third Flats Area doesn't have an official parking area. There are signs near the entrance that direct people to the Bangs Canyon Staging Area to park. The area around the kiosk is all posted 'No Parking'. With that said, most people who use the area either park on the hill on the west side of Little Park Road or if they have a high clearance vehicle they drive past the trailhead kiosk and park in one of the spots a little further in. 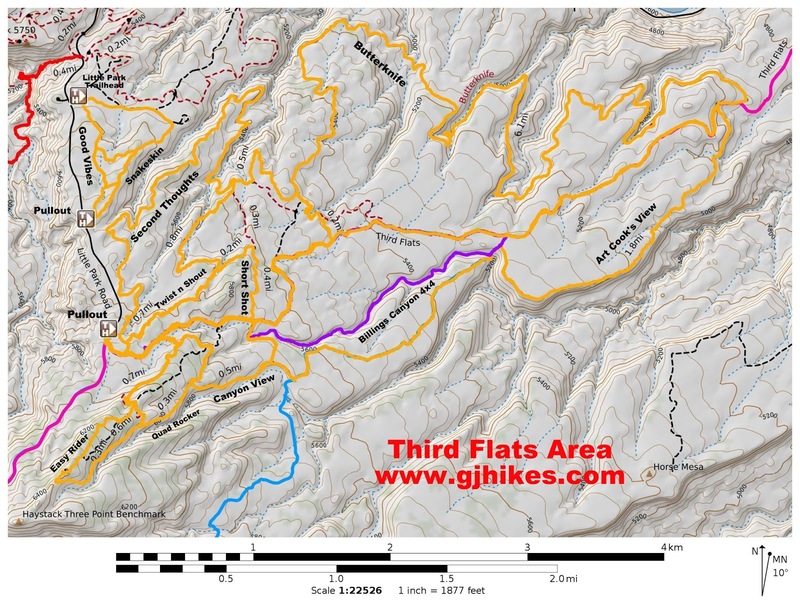 The trailhead kiosk has a nice map of the Third Flats trails. You can also download a map from the BLM to printout and take with you. 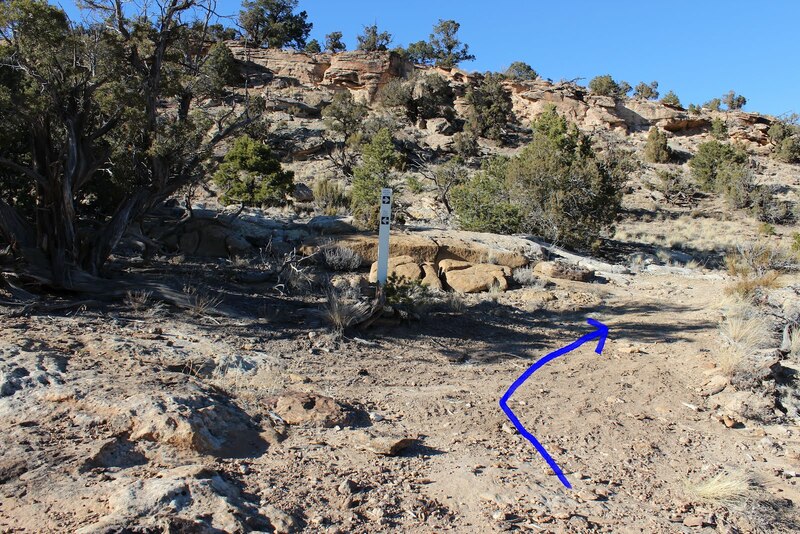 If you measure from the parking area on the west side of Little Park Road you will need to hike down the Third Flats road until you have gone about 4 tenths of a mile. There is a trail that leaves the road on the right hand side that leads over to the beginning of the Quad Rocker loop. The loop starts about a tenth of a mile from where you left the road. 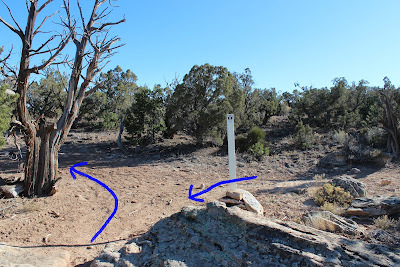 You can hike the loop in either direction, of course, but this post describes it by following the trail to the left. The trail wraps around the east side of the mountain where it crosses the Cedar Point road. Continuing on around to the south side of the mountain will bring you to the upper drainage of Billings Canyon. The trail follows the road along the rim of the canyon as it climbs higher toward Cedar Point. 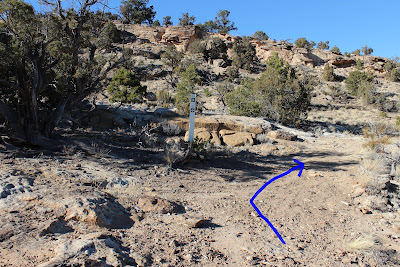 The trail follows the road toward the head of the canyon for about a half mile where it turns to the right at the junction of the Roll Over Ridge trail. From this point the Quad Rocker trail climbs over the hill where it once again crosses the Cedar Point road. The hike from the crest of the hill back down to the beginning of the loop is pretty pleasant. The trail builders did a nice job of smoothing out the rough spots to make the trail suitable for things with wheels. 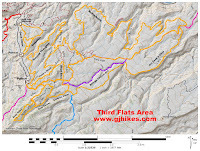 The Quad Rocker trail is only about 2.5 miles but it has enough elevation change to give you a descent workout. The trail can be combined with others in the area for a longer outing but about the only thing you could do to shorten it any would be to drive a high clearance vehicle along the Third Flats road to where the trail begins. That would knock almost a mile off the total distance. If you would like to see it for yourself then all you have to do is 'Take a hike'.